Russian President Vladimir Putin has received a letter in which his Turkish counterpart Recep Tayyip Erdogan apologized for the death of the pilot who was killed when a Russian jet was downed over the Syrian-Turkish border last November, the Kremlin said. 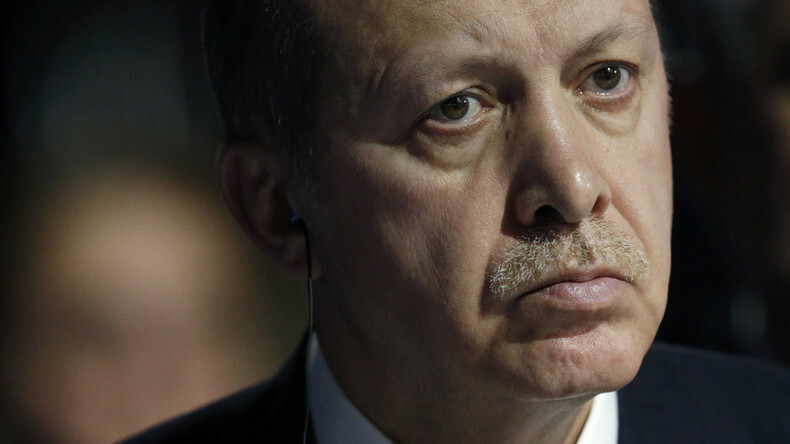 Erdogan expressed readiness to restore relations with Moscow, Kremlin spokesman Dmitry Peskov said on Monday. “The head of the Turkish state expressed his deep sympathy and condolences to the relatives of the deceased Russian pilot and said ‘sorry,’” Peskov said. In his letter, Erdogan called Russia “a friend and a strategic partner” of Ankara, with whom the Turkish authorities would not want to spoil relations. “We never had a desire or a deliberate intention to down an aircraft belonging to Russia,” the letter read, according to a statement published on the Kremlin website. 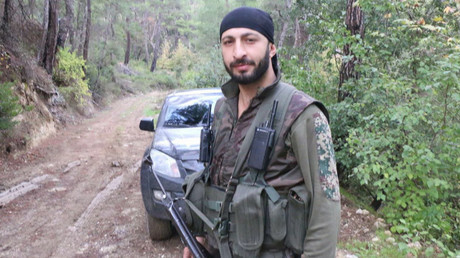 Ankara has treated the family of the dead Russian pilot as if it were a Turkish family and is “ready for any initiatives to relieve the pain and severity of the damage done,” the letter said. The address by the Turkish leader also informed that a criminal investigation has been launched against the person suspected of killing the Russian pilot, the Kremlin said. In addition, Erdogan expressed readiness to tackle security challenges in the region and fight terrorism together with Moscow. Turkish PM Binali Yildirim said that Ankara was ready to pay compensation for downing the Russian jet. "The letter's content is very clear. We stated our regrets and if necessary we will pay compensation for this issue,” he said, answering questions on Turkish public broadcaster TRT. He added that reconciliation between Russia and Turkey would not be possible without both sides striving for it. “Both sides wanted [normalization of the relations]. I think things are improving,” Yildirim said, as cited by internetHaber. Turkish Hurriyet newspaper reported that sources close to Erdogan have confirmed that the letter with the apology was sent to Moscow. "I believe we will normalise our relations with Russia rapidly by ending the existing situation which is not in the interest of both sides," Erdogan said later on Monday at a dinner to break the fast for the holy month of Ramadan. On November 24, 2015, a Russian Su-24 bomber, taking part in an anti-terrorist mission in Syria, was brought down by the Turkish Air Force. The plane crashed in rebel-held territory in Syria near the Turkish border. The pilots ejected, but one - Lieutenant Colonel Oleg Peshkov - was killed by machine gun fire from the militants on the ground. Turkish nationalist Alparslan Celik has claimed responsibility for Peshkov's death. Ankara claimed that it attacked the Russian bomber for violating its airspace, but was never able to provide proof that any wrongdoing took place. Moscow vigorously denied the Turkish claims, calling the downing of the plane “a stab in the back" from a state which it had considered an ally. Russia reacted strongly to the incident, imposing a wave of sanctions against Turkey, which affected trade, tourism, joint energy projects and other areas. From the start, the Kremlin made it clear that restoration of normal relations with Turkey would be impossible without Ankara apologizing and paying compensation to the pilot’s family. The news of Erdogan’s apology had a positive effect on Turkey’s currency. The Turkish lira rallied to 2.9330 from 2.9430 against the US dollar, Reuters reported. Turkey's foreign minister, Mevlut Cavusoglu, will take part in a meeting of the foreign ministers of the Organization of the Black Sea Economic Cooperation, due to take place in the Russian resort of Sochi on July 1, Turkish NTV channel reported. An invitation to participate in the event was sent to Cavusoglu by Russia’s Foreign Ministry last week. 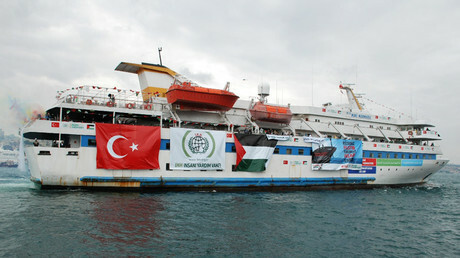 Also on Monday, Turkey reached an agreement to normalize relations with Israel, with the deal putting an end to the rift over the Israeli Navy’s killing of nine Turkish citizens during a Gaza flotilla raid in 2010. US, Osman Faruk Logoglu, said he would not rule out the possibility that Erdogan had decided to mend relations with Russia after taking advice from Washington. “These decisions aren’t taken lightly… So, you listen to your friends, including of course, the US and others,” he told RT. Washington and NATO, in general, were “preoccupied with the state of relations between Turkey and Russia,” fearing the it may result in a military confrontation between the two states, Logoglu said. “This latest initiative coming just before the Warsaw NATO summit will create a sense of comfort [from] the NATO alliance,” he added. An international law professor at Georgetown University, Daoud Khairallah, has welcomed the Turkish apology, but stressed that now it would be important for Ankara to back its words by action. “It’s a positive step. One would hope that beyond apologizing for downing the plane and killing of the pilot, this would contribute to the peace in the region, considering the role that Turkey has been playing in fueling the war in Syria and Iraq, facilitating the entrance of so many terrorists from all over the world,” Khairallah said. According to the professor, President Erdogan “has started realizing the mistakes he made about the Syrian war” and that “using terrorism for political objectives” was costing Turkey dearly. The Turkish president is “trying to mend fences now” because he finally realizes that “he can’t isolate himself from the rest of the world,” Khairallah said.